There are three levels of notification that you can set per-room or globally. 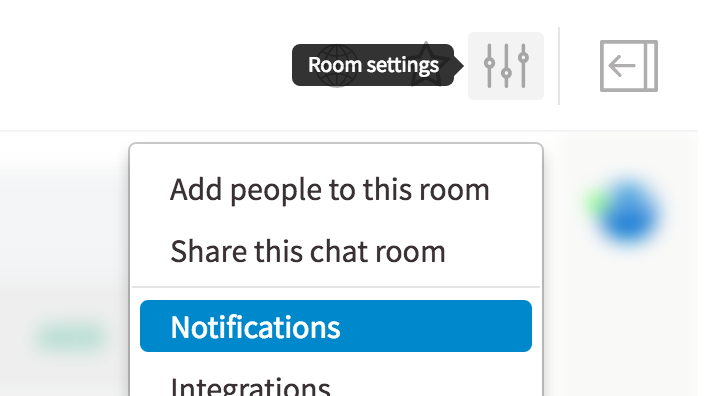 You can access the notification settings through the room settings icon(vertical sliders) in the top-right of the chat header -> Notifications. For global notifications, click "Configure Defaults" in the bottom-left of the notification modal. 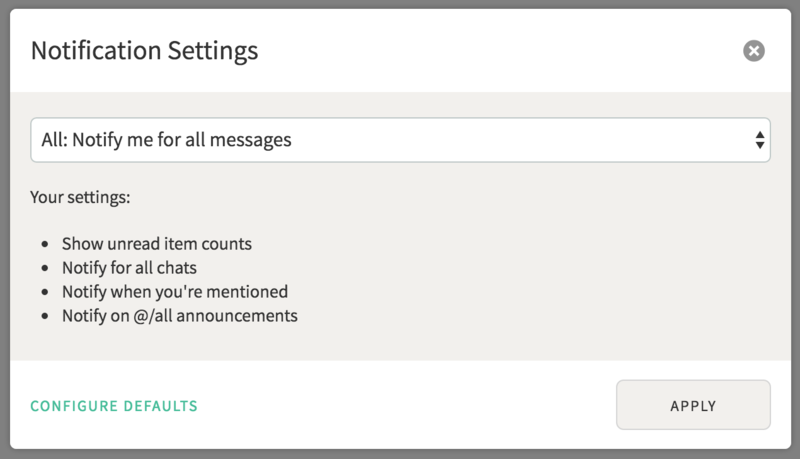 You will be notified of all messages in a room and see a corresponding number if your conversation list for each message you were notified for and haven't read. You will only see a subtle activity indicator for new unread messages. You will receive notifications if you are directly mentioned or there's an announcement (@/all). You will only see a subtle activity indicator for new messages. You will only receive notifications if you are directly mentioned. 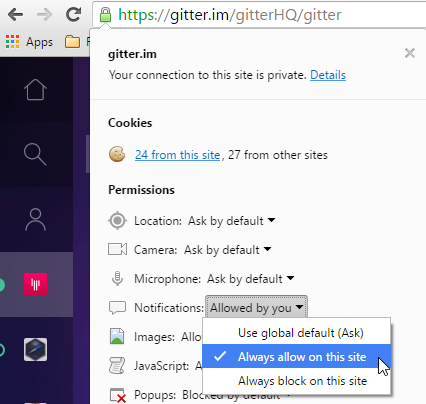 By default, Gitter uses green flyout banners to show notifications. You can instead use browser desktop notifications by allowing the browser permission. We ask when the page first loads but you may have but you can also change it at any time (Chrome pictured below). You can toggle email notifications on and off in the "Configure Defaults" section of the notification modal. There is also an unsubscribe link at the bottom each notification email that does the same thing.